As students of the Grim Reaper at Death Weapon Meister Academy, Maka is a Meister and Soul is her Weapon literally. When they take on the supernatural forces of evil, Soul transforms into a razor sharp scythe and Maka wields him in battle. He gets deadlier with every defeated soul he consumes and each victory strengthens their bond but Maka, Soul, and their classmates might not be ready to face the darkness headed their way. After 800 years, the witch Arachne has returned to spin a web of wickedness, leading an army of ghoulish minions in a war against Death Weapon Meister Academy. 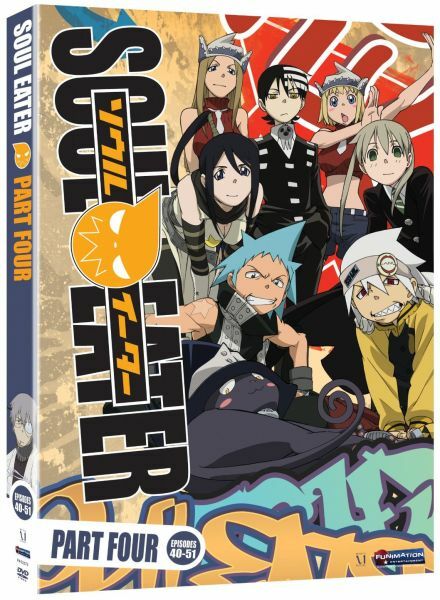 As demons from the past rise amid betrayal and madness, Maka and Soul are definitely in for the fight of their lives. But, hey luckily for the fate of the world, they’re a freakin’ lethal team!